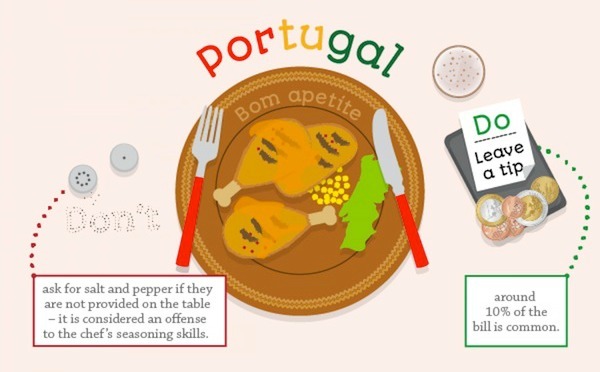 If you’re any sort of mister manners when it comes to dining etiquette, you know the basics of American restaurant behavior. Splitting the check – usually OK. Letting out an impressive burp at a fine dining establishment – not so much. 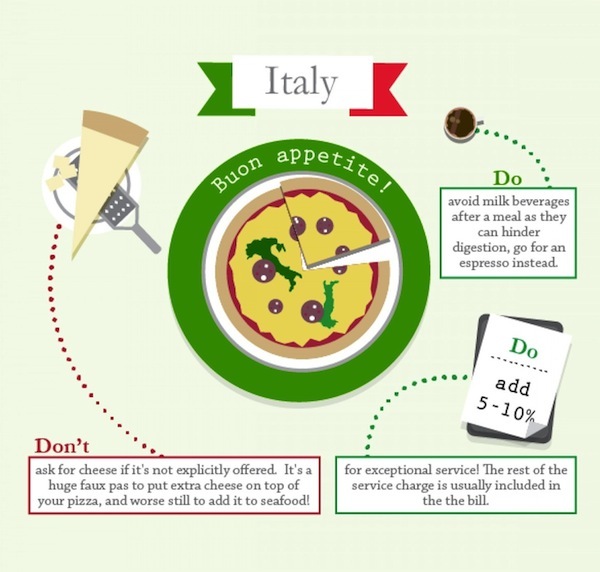 These unspoken rules are pretty clear-cut. 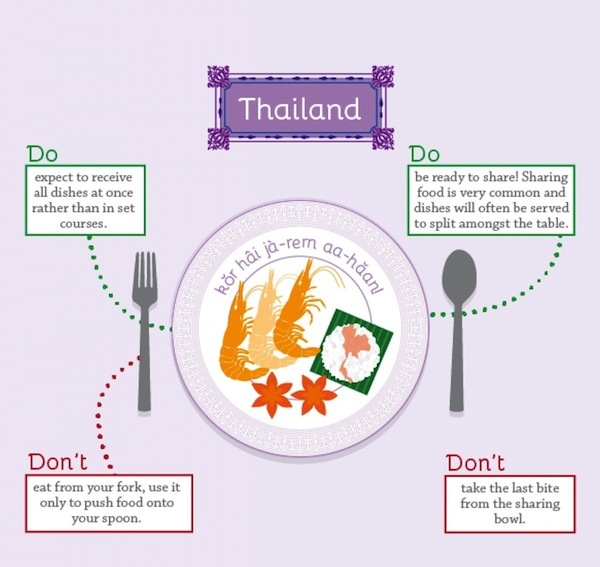 However, things get tricky when you’re traveling to other countries, as the do's and don't of table manners begin to change. 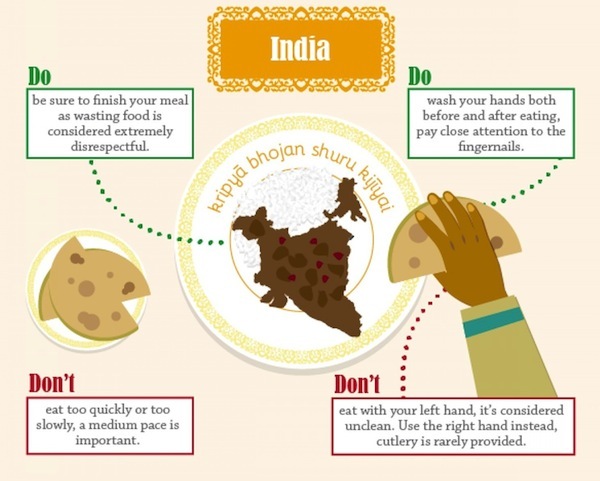 This helpful infographic navigates curious eaters through etiquette around the world. 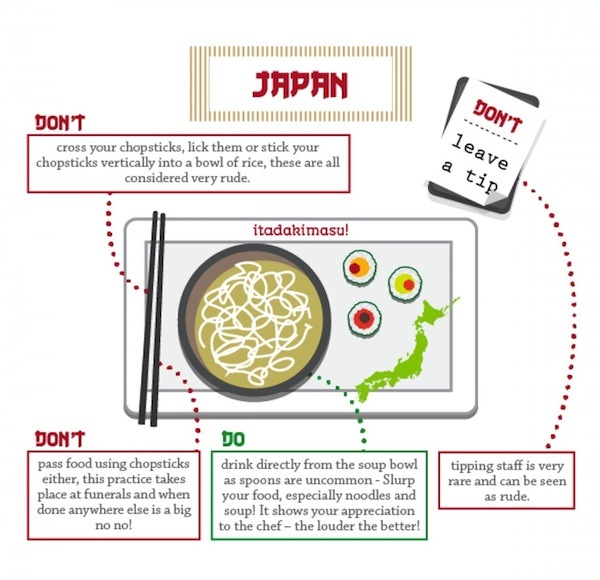 Let’s say you’re at a restaurant in Japan and you’ve got a tiny bit of sticky rice left on your chopsticks. 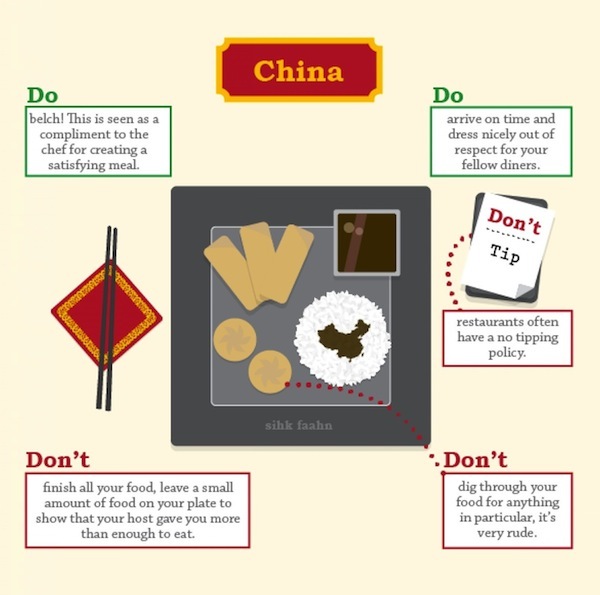 Whatever you do -- don't lick the chopstick. It’s rude, man! Dining out with a group of friends? 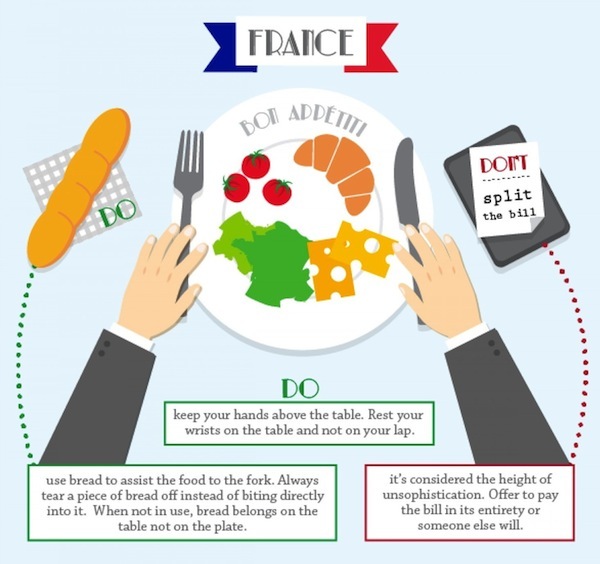 In this situation, splitting a check would be considered terrible etiquette, same goes for China and France.